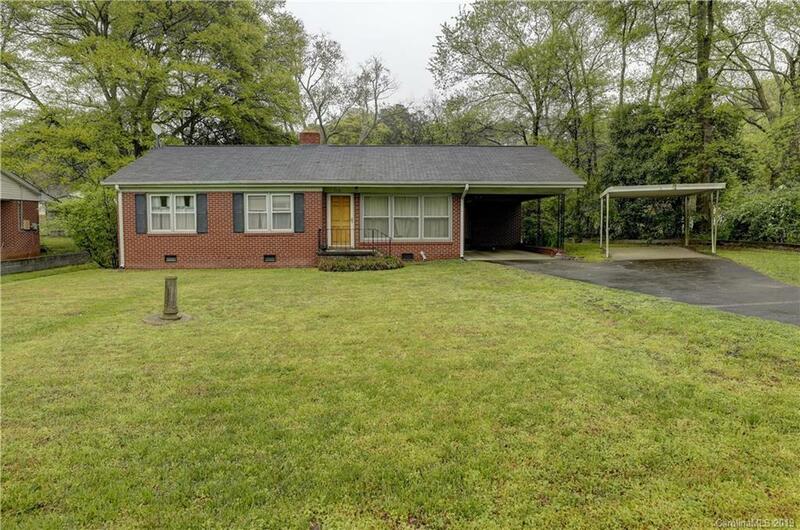 Desirable brick ranch, perfect size with 3 bedrooms and 1 full bath. Ideal for downsizing, first time home buyer, or investment property. Centrally located near shopping and restaurants. Close to interstate access for an easy commute to Charlotte. Hardwood floors in all bedrooms and under the carpet in the large family room. Family room features picture windows to allow natural light in. Spacious yard with large out building for storage or a workshop. 1 car attached carport and 1 car detached carport, for convenient covered parking.